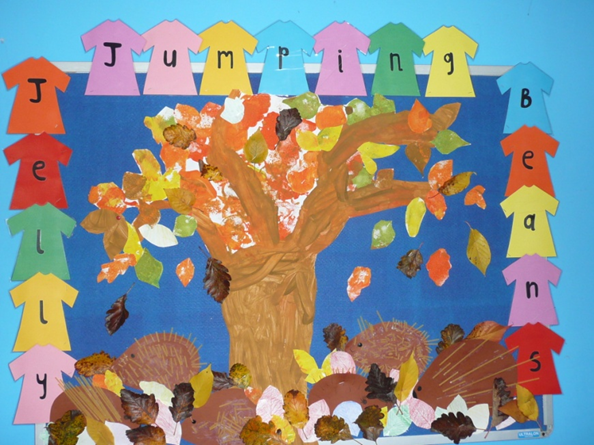 With our Annual Firework Extravaganza just around the corner Jelly Beans have been busy with their Autumnal display board. Adorned with leaf rubbings and prickly hedgehogs it sets the scene for a crisp Autumn night around the bonfire. Just remember to check your bonfire for hedgehogs and other wildlife before you light it!